More schools on Ambergris Caye are utilizing renewable energy by going solar. 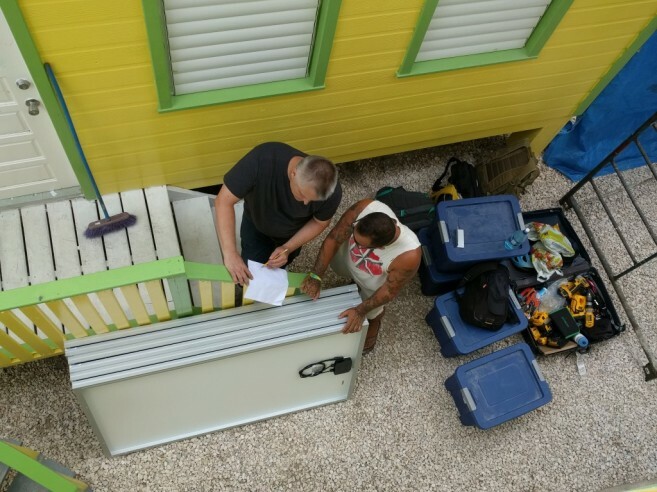 Thanks to volunteer help from Kenyon College of Ohio, USA, and the Belize Red Cross San Pedro Branch (BRCSPB), solar panels were installed at Ambergris Caye Elementary School (ACES) and Brighter Tomorrow Preschool (BTP) last week. This green alternative to regular electricity is expected to reduce the school’s electricity bill, while serving as a learning opportunity on renewable resources for students. On Wednesday, March 15th, the Kenyon College crew installed 10 solar panels at ACES. Denice Ryan, Principal at ACES, told The San Pedro Sun that they were grateful to be a part of the college’s field study. “I have to thank the crew, along with Laurie Norton, because without their interest, we wouldn’t have had solar panels installed. As this is also a field study, Kenyon College will be collecting data from the solar panels,” said Ryan. After solar panels were installed at ACES, the crew installed four more at BTP on Thursday, March 16th. Principal Ariani Gongora stated that she is positive that her institution will see the benefits of switching to solar energy. “There are many benefits of using solar energy, and I am positive that we will experience long-term savings. Our school is located in San Pedrito, and most of our students come from low income, single parent households. We usually charge $15BZ a week for our kids, and it includes a healthy snack, fruits and cereal. But with the money saved on electricity, we will be able to help feed the kids,” said Gongora. Laurie Norton of the BRCSPB stated that she was glad to jumpstart this project. 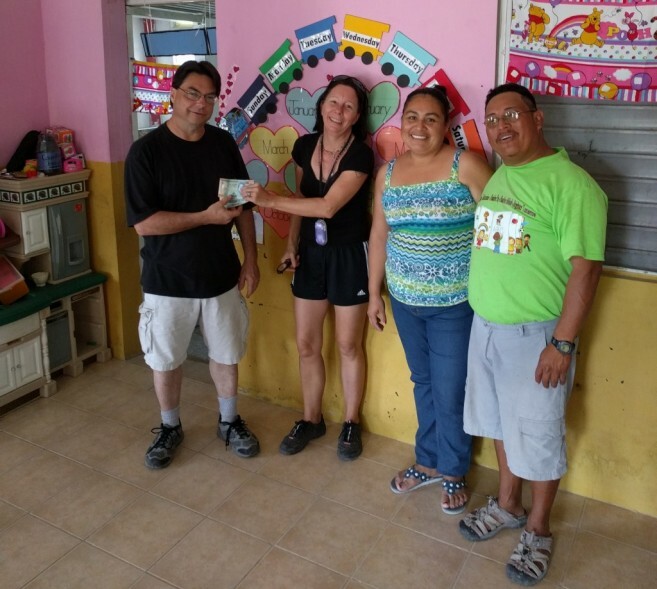 “When I found out about Kenyon College installing solar panels across Belize, I met James Skon on the internet and asked him to come here to San Pedro. James visited last summer in 2016 to do an assessment of ACES and Brighter Tomorrow. It is important for us to use green energy because it preserves our environment. Kenyon College made a difference in both schools because they are expected to save money on their bills, and utilize the savings for something beneficial,” said Norton. Kenyon College has definitely made an impact countrywide in Belize. 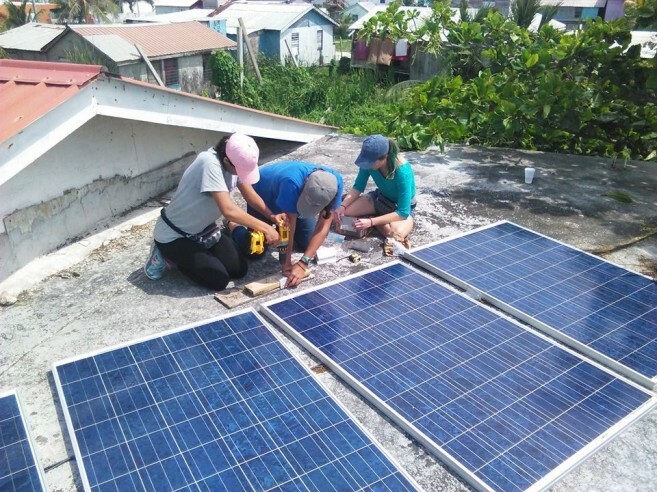 So far, the crew has installed solar panels at schools in San Ignacio, Succotz, San Antonio and Arenal in Cayo, Punta Gorda Town, and now San Pedro Town. According to Kenyon College, the typical costs for a four panel 1000 watt grid-tie solar system with inverter and wiring is about $1,500US. A four panel system is best for a smaller school with 75 to 100 students, while an eight panel system is effective for a larger school with 150 or more students. With the help of donations, the crew has around 10 schools to complete across Corozal, Orange Walk, and Toledo. The solar panels are expected to significantly reduce school’s carbon footprint and positively impact their communities by educating the next generation on renewable energy. Kenyon College has also embarked in another initiative, which would grant schools a laptop. These laptops will come fully loaded with a world class standardized free educational software known as Edubuntu, an African term for friendship. The learning materials, which include primary school through college level work, will greatly help disadvantaged kids and adults that want education. A special thanks goes to the installation crew at Kenyon College, along with Amanda Syme, Pepper Carpenter, and Have Fun Stay Fit, for their donations. As more donations are coming in, any extra funds will go towards the purchase of Dell E6430 refurbished executive laptops for both schools.